Welcome to visit and contact us for more information about the bumper balls or any other inflatables you like! Someone called it "body ball" "body bounce" is a new type of sealed Ball Game after Water Walking Ball and Zorb Ball. It is made of transparent PVC or TPU with two handles and two adjustable belts inside to secure the players. 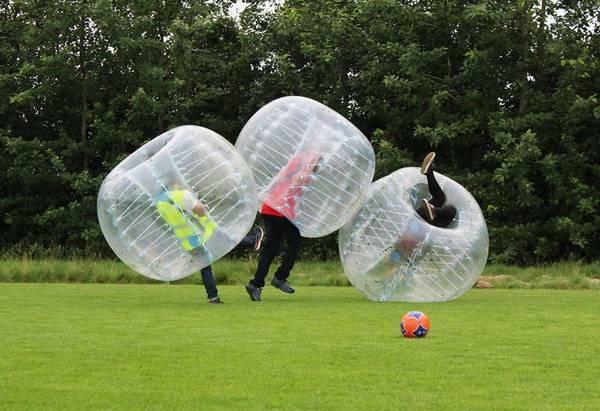 Our bumper ball rentals can be used both indoors and outside.